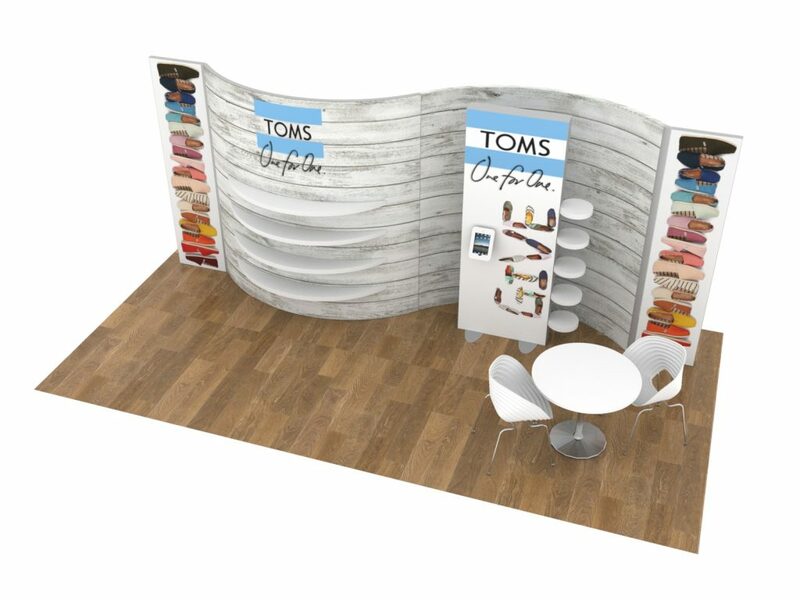 I’m the last guy to claim to be a trend-setter, but I do try to keep at least one half-open eye on tradeshow exhibiting trends. 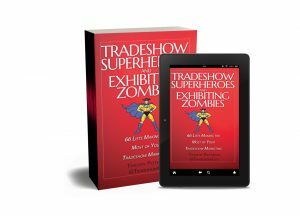 So I took a look at some of the things that are showing up on various 2017 tradeshow exhibit trends lists and added in a couple of things I’ve seen at shows this year. Yes, we’re into the second half of the year – so how did these trend article from earlier in the year predict what’s happening on the ground? Virtual Reality: I’m still unconvinced this will really take off in the tradeshow world. The challenges are many: crowded floors, busy visitors, cost of creating custom content that not only engages but impresses and leaves people glad they spent the time. But it looks like the technology is there and will do nothing but improve. The few times I’ve seen it at shows, people did not seem all that interested, and several VR headsets sat unused for long periods of time. When they were used, visitors commented that it was nice, but no one I spoke with raved about the experience. Again, it comes down to getting the best and most engaging content possible. According to this great article from Exhibitor Magazine, some other trends for the year include Artificial Intelligence (think Siri and Alexa), new ways of visitor engagement (digital games, for example), and Tradeshow Campaign Themes. From Freeman comes an article that brings up sustainable materials as still trending (look for LED backlit smart fabric walls), immersive hubs from show organizers (activities, video content and more), and education that is customized to the level of expertise in the audience groups. There’s also a mention of one way that might be a good workaround on the prohibitive cost of shipping large engines and equipment around the world: 3D-printing that can replicate the machinery or equipment to a T.
Absolute Exhibits from Tustin, CA, offers a handful of tech trends for tradeshow exhibits this year, including digital lounges for recharging (figuratively and literally), brighter and more attractive signage, push notifications through the show’s mobile app, games and contests, and interactive video walls and touch screens. 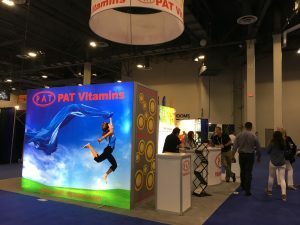 Exhibit Concepts offers up trends including finding new ways to engage face-to-face, the wide incorporation of technology into every corner of a tradeshow exhibit (Bluetooth beacons that integrate with a client’s products), and the increasing use of custom exhibit rentals to keep costs down. Another item I see frequently is large-format, simple graphics that do a terrific job of grabbing eyeballs, either through the bold simple easy-to-read text, or bold images combined with sparse text. 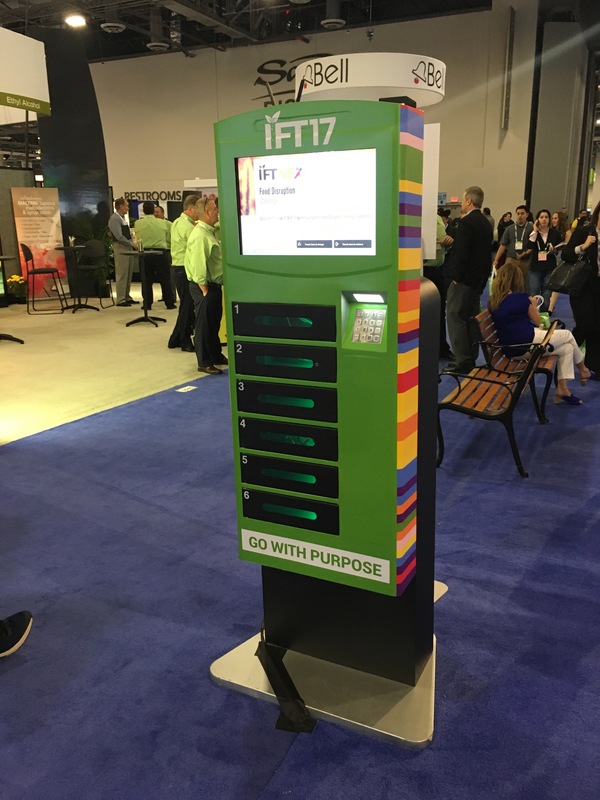 When it comes to charging stations, I recently saw something a little different: lockable stations where you can plug in and leave your device. When you return just enter your code (that you came up with earlier), and retrieve the device. This charging unit was NOT in an exhibitor booth, but was instead provided by the show. The last couple of shows I attended (Expo West in March and IFT in June) both had great, easy-to-use show apps. Quick to download, easy to navigate, and when you set up push notifications you really don’t miss a thing. Kudos to the various app designers that make them so friendly and good-looking. These topics are echoed in many other posts throughout the tradeshow world, and now that we’re on the downward slide into 2018, it’ll be interesting to see what comes to the fore next year that everyone wants to be a part of. After getting an email from Ewan MacDougall and his link to an interesting infographic on how tradeshows impact the environment, I got to thinking about how social media might help to mitigate some of those impacts. Okay, it sounds like a good idea: using social media to reduce your impact on the environment while attending a tradeshow. But can we really make that idea work in a substantial way? The most obvious ways would be to move most, if not all, of your tradeshow promotions to social media. Tweet it out, post Facebook updates and load videos onto YouTube and Facebook to promote your appearance at the show. It’s much more environmentally friendly than sending postcards or other mailers. And of course, you can make documents such as brochures and other typical handouts available as a downloadable PDF. By incorporating the use of QR Codes, you can invite attendees to grab the documents easily through their smart phone. Just remember to optimize the landing page so they can actually READ it on their phone! But what about other methods? 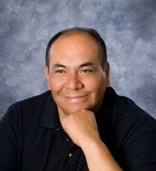 Can Twitter be used for more than just a Tweetup or to send out promo messages? Sure, you can actually send out links to your downloadable PDFs and toot your own horn (tweet your horn?). You can also put up a sign inviting people to send out a tweet using an @ symbol and promise to send back a link to the downloadable brochures or documents. You can even set this up as an autoresponder to anyone who sends you a message using the Twitter @ symbol. The caveat here is to make sure that once the show is over to discontinue the autoresponder. Facebook can also be used to post all of those documents (or at least links to them). Create a “Notes” page under your company profile listing the documents and invite people to “like” you – which then gives them access to the documents. In fact, your autoresponder Twitter reply could be used to invite people to “like” your Facebook page to grab the free brochures and other documents that you’d normally handout at the show. The downside of using auto-reply tweets is that they’re so common and probably overused and are often ignored. So you’ll have to make sure that your sign promoting the free goodies encourages them to check their Twitter message in box. 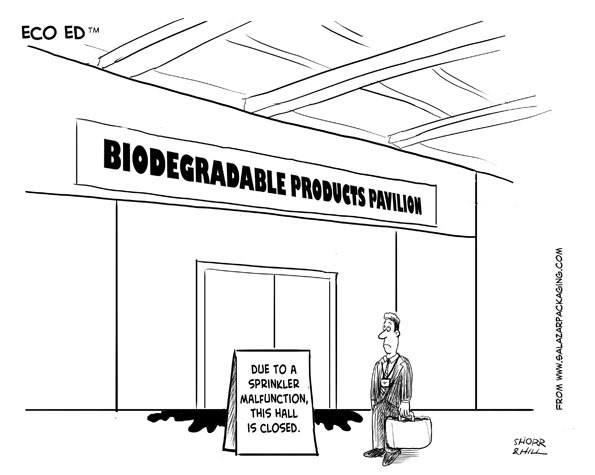 There are some aspects of tradeshow marketing that are more difficult to reduce carbon usage. Travel, for instance. Hard to avoid flying if you’re traveling hundreds or thousands of miles to go to a 4-day show. But I know that some airlines allow you to check in via your smart phone. Using other apps, such as Yelp to find a good restaurant, or Skype to talk with people internationally for free, also helps reduce cost and time. Southwest was the first airline to release an iPhone app (in 2009) and many others followed suit. There are also iPhone apps, such as SAP’s Carbon Tracker, that allow you to track every aspect of your business activities that relate to your carbon footprint. Simply by knowing your carbon impact, you’ll find ways to cut down. And as they say, every little bit helps! 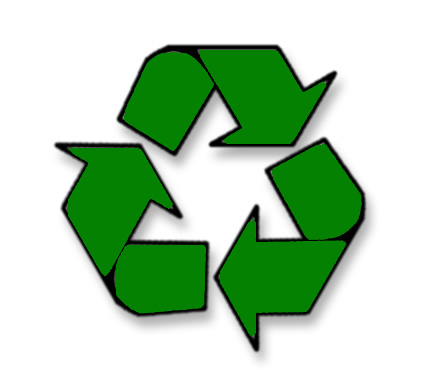 All face-to-face meetings bring their baggage with them – including the trash and recyclables that are generated. Does the amount of cups, paper, water bottles, and more that are generated during the meetings put the meetings and events industry in a bad light? Can anything be done to substantially reduce meetings waste? MeetGreen®, a meetings coordination company in Portland, Oregon dedicated to environmental sustainability, recently released a comprehensive report on how their work is impacting sustainability in events they are involved in. MeetGreen® works with the UN Global Compact, a global policy initiative that promotes the adoption of strategic sustainability principles into the activities of organizations. As a result, they’re required to generate an annual report that focuses on sustainable business practices within the meetings attended or organized by their clients. I spoke with MeetGreen®’s Nancy J. Zavada, CMP about the report and their work with companies. She said one of the more interesting things to come out of the report is the realization that there is a big ripple effect – “what changes can you make in the world?” Nancy says that while MeetGreen® is a small company, by helping events become greener, it can have a bigger impact on the industry and the world. There are more, but I don’t want to steal their thunder. After tracking the results and compiling the report, Nancy told me that the big aha to her was ‘the importance of transparency.’ By showing people what you’re doing and how you’re doing, it creates more trust and helps the ripple effect to make more changes in the world. The report breaks down the objectives and targets set up before the year started (which ran from August 2009 – July 2010). Goals included giving back to the community, being accountable for their carbon footprint, ensuring the supply chain has responsible social and environmental practices and more. Most were met or exceeded. While the report is in essence a report on how one company’s efforts are unfolding to reduce, reuse and recycle using sustainable practices, the effect is far-reaching. A list of clients and organizations that MeetGreen® worked with in 2009-2010 includes Cisco, Jack Morton, Oracle, Wallace Fund, Unitarian Universalist Association, Cascadia Group, IMEX America and many more. The report looks at results from 48 events with over 130,000 participants in 19 destinations.